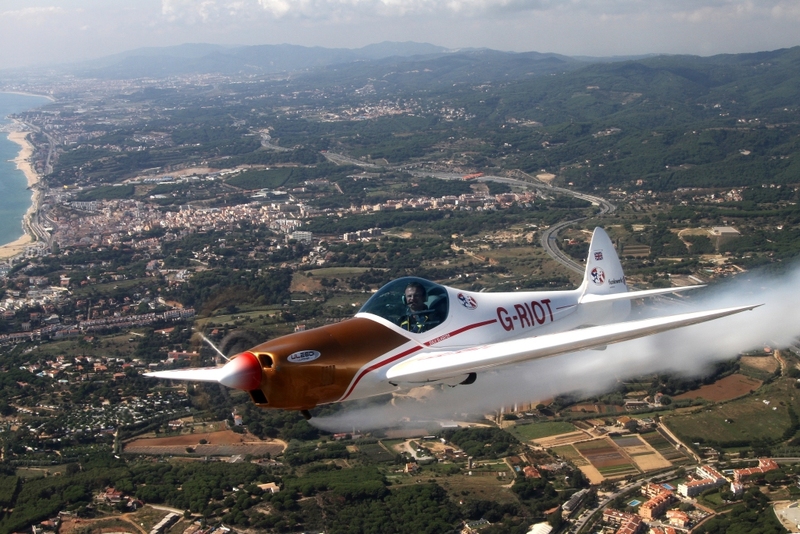 The Twister is a single seat all composite aerobatic aircraft designed in Germany by the brothers Thomas and Matthias Streiker. 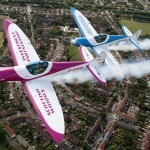 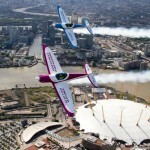 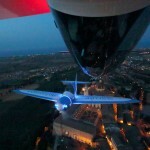 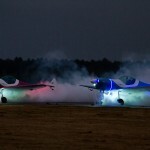 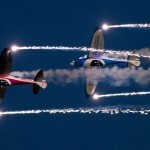 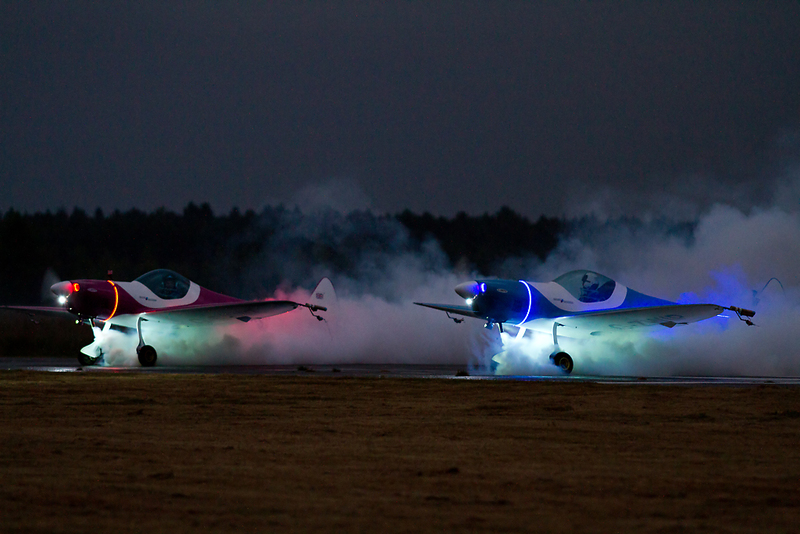 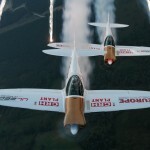 It is a scaled up version of their world beating aerobatic model aircraft. 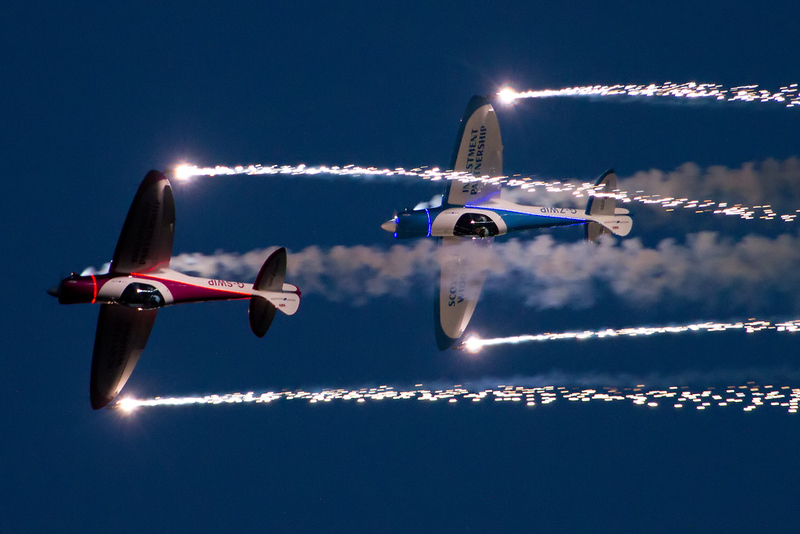 It resembles the Supermarine Spitfire with its elliptical wing, but the brothers assure me that this is not deliberate even though there are numerous pictures of the world war II classic on the walls of their houses! 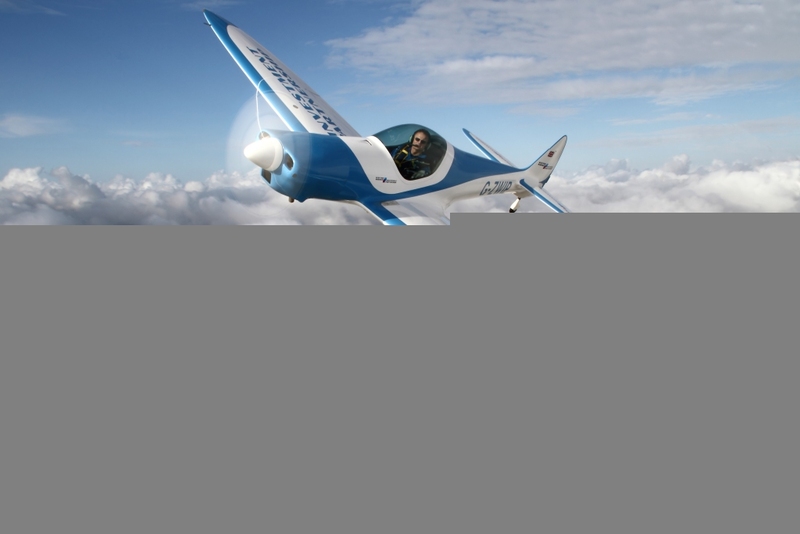 The aircraft fulfils the Streiker brothers’ goal to build a simple and efficient aircraft, as it achieves a very respectable performance with its tiny 80hp Jabiru engine manufactured in Australia. 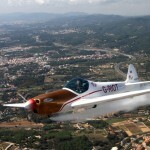 The Twister is piloted by Peter Wells who has been flying since he was 15 years old and comes from a flying family. 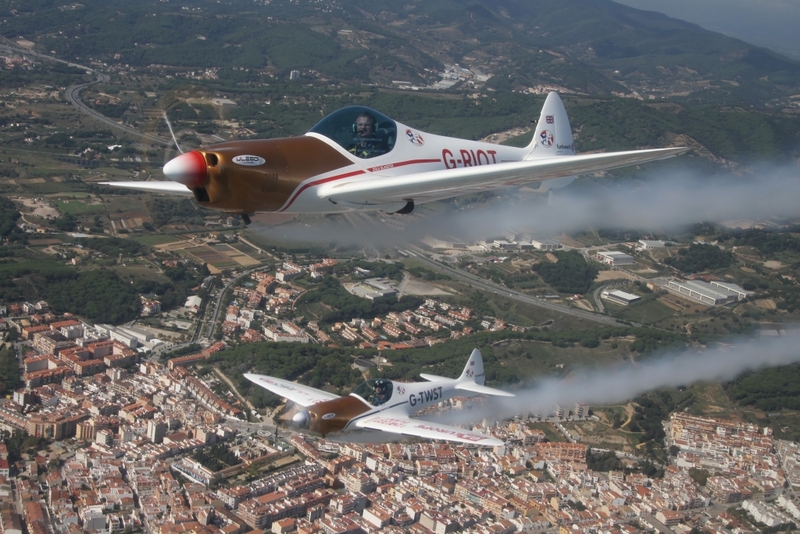 His step father represented England for over 15 years racing gliders and his younger brother Leigh is current World Gliding Champion. 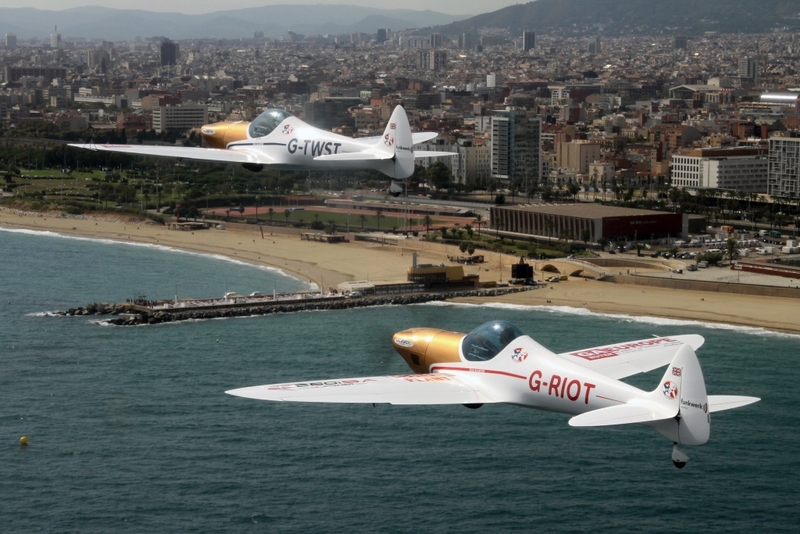 His wife Sally is the only woman to win the British Standard Class Gliding Nationals. 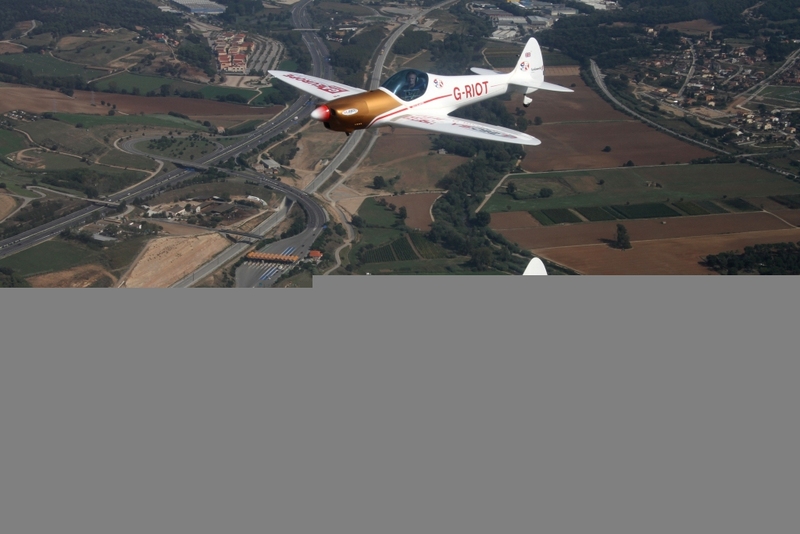 Peter is the only bad glider pilot in the family but nonetheless has amassed more than 3500 hours in gliders and powered aircraft. 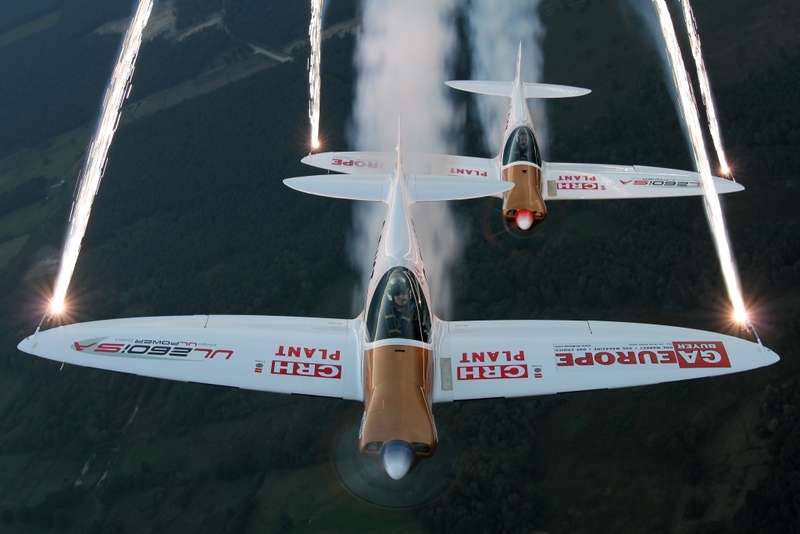 The display consists mainly of standard level aerobatics but with a few flick and hesitation manoeuvres at higher levels. 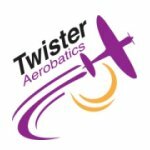 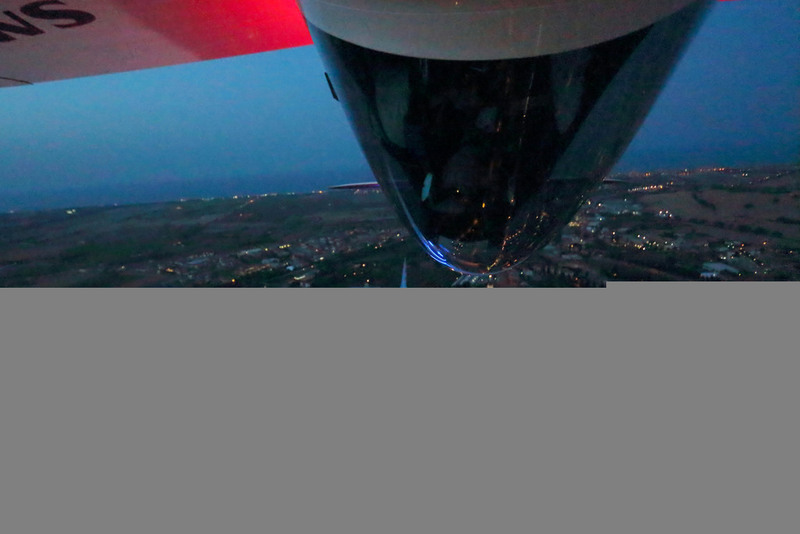 Due to the low power of the Twister engine it is very important to manage energy carefully so most of the display is flown in smooth curves rather than in the competition style of flying aerobatics which is much more abrupt and angular. 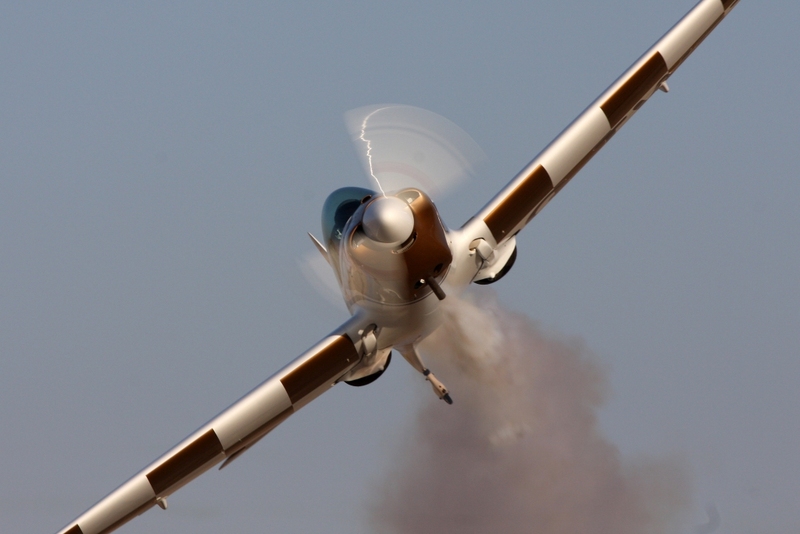 The Twister is very versatile and can perform equally well at a large airfield venue or a small private event. 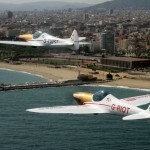 It can also be successfully combined with other aircraft. 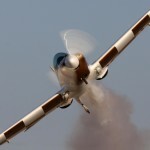 For further information on Peter’s display flying in the Twister, please visit the Twister Aerobatics website.